...A.I. & Melo to live at the FT line 2night! 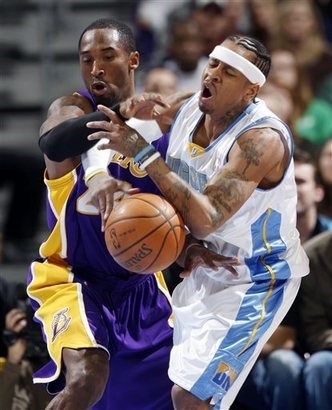 The Nuggets might catch the Lakers relaxing a lil 2night! If I had a choice between OVA and UNDA dressed ladies, just like my NBA pick tonight, I prefer the UNDA! This page contains a single article from April 28, 2008 10:47 AM. The next days article was Home of Greggy G's NBA ATS Playoff Picks.